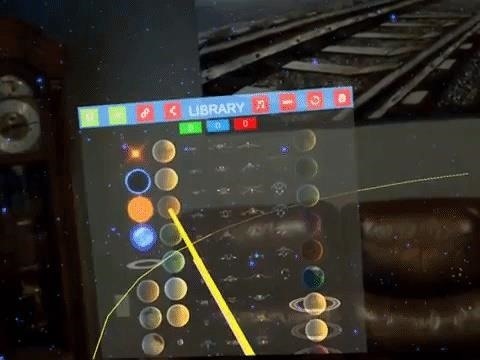 The app, called Universe Creator, by developer Les Bird, allows users to select from a library of stars, planets, and other celestial bodies with their Magic Leap One controller and place them in their physical space. Users can scale each body with the controller's touchpad, and the object's mass increases correspondingly. As a result, smaller objects can be set to orbit larger ones (Bird notes that he plans to improve orbit realism in future releases). 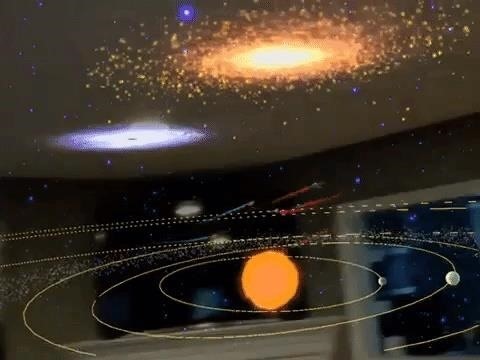 Stars have infinite mass by default, and therefore cannot orbit other objects, because science. With a universe established, users can also populate space with spaceships. Aligned with one of three factions (red, blue, and green), the fleets will proceed to do space battle. Creators can influence the outcome of this infinite warfare by summoning reinforcements. "Pay attention to the fighter ships. As they fly around the room they will look for another ship of the same faction to team up with. You will soon notice they will fly in formation and work together. These pilots are smart," says Bird, on his website. "The factions are all evenly matched, so no specific color has any kind of advantage. However, I have seen one fighter take out an entire six ship strong faction all alone. Could this pilot be Luke?" Magic Leap One owners with a god complex can grab the MPK file from Bird's website. 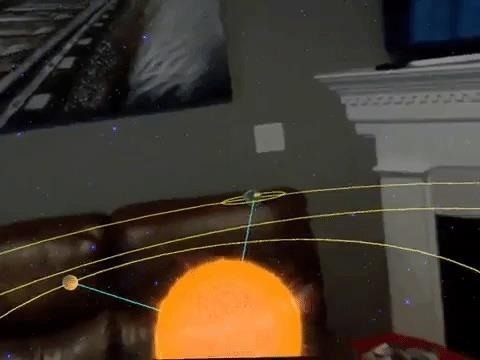 Just remember, while space is infinite, the Magic Leap One's field of view is not. 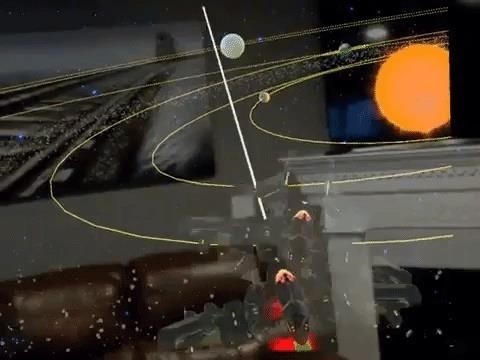 If this looks familiar, it's because Magic Leap had a similar vision for the device, shown in a 2015 demo video (embedded below). It just goes to show you that, when it comes to augmented reality, dreams can come true. In the lead-up to the release of its debut device, and in the post-launch period, Magic Leap has been going to considerable lengths to nurture a content ecosystem for the device, including partnerships with big names like Andy Serkis and his Imaginarium Studios, as well as comic book creator Grant Morrison's Square Slice Studios. Nevertheless, the Magic Leap One is, for all intents and purposes, still a developer kit (hence the Creator Edition moniker), and the library of experiences is fairly sparse as developers get accustomed to the platform. Magic Leap's ultimate aim is the consumer audience, and this period of the company's timeline is crucial in terms of ensuring that there are ample experiences from independent developers like Bird and the larger studios, once the consumer edition launches. That was pretty cool to play with. Thanks for the heads up.